4.5 miles NE of Wells: From Wells go north on Rte 30 for 3.5 miles until you come to the intersection of Rt. 30 & 8. Turn right onto Rt. 8 and proceed 1.2 miles. You will reach a point where parking areas are visible on both sides of the road, with the stream crossing under Rte 8 through a culvert . Park on the right and take the path along the south side of the stream. The hike up to the 2nd falls is just a few hundred yards upstream. 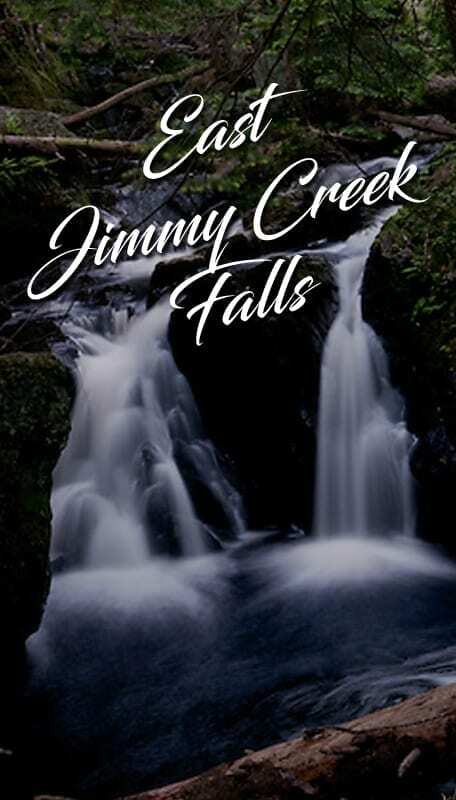 Jimmy Creek contains 2 lovely, small waterfalls and both are a short walk in from Rte. 8. This falls is very picturesque for its small size, and less than 200 yards from the road. You’ll find a series of small drops and flows upstream from the main falls that are also worth looking for. The first waterfall is near the beginning of the hike. The second is just upstream and towers 10 feet over the surrounding area, plunging into a small swimming hole at its base.